Get your team together its Quiz time! Doors open at 7 – fun starts at 7:30pm. Teams of up to 6 people £8 per person. 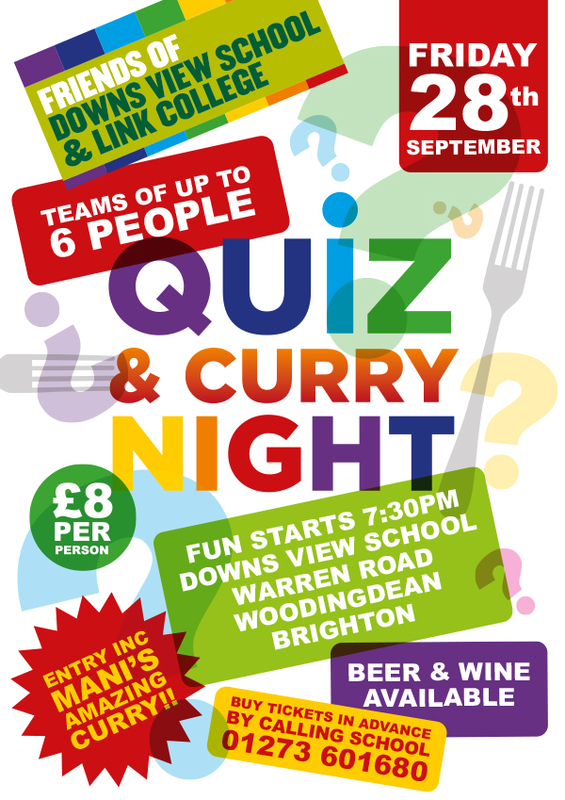 Entry includes Mani’s amazing Curry – Beer & Wine on sale. Buy tickets in advance by calling the school on 01273610680. Don’t miss this great night out – book your tickets now! !